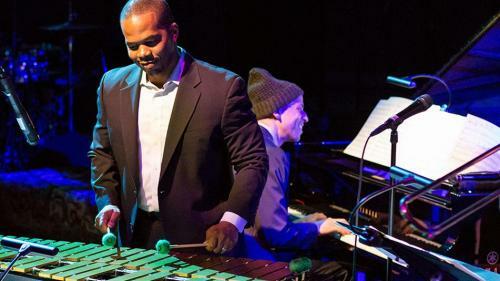 In addition to an evolving lineup of some of the brightest bandleaders in jazz, the SFJAZZ Collective is known for its distinctive approach to repertoire. Each year the members of the octet contribute original arrangements of a composer's work. From Ornette Coleman to Michael Jackson, the group has thrived by drawing inspiration from the past while pushing jazz in interesting new directions. This season, the Collective tackles the work of Antonio Carlos Jobim, composer of countless Bossa Nova classics including "Corcovado," "Wave," "Chega do Saudede" and, of course, "The Girl from Ipanema." As for “The Girl from Ipanema,” he originally planned to present Jobim’s most well known song as “a nice cool, slow bossa.” But after coming across a YouTube video from the 1979 Montreux Jazz Festival, he changed speeds, literally. Read more about this fascinating project in the words of Collective members.